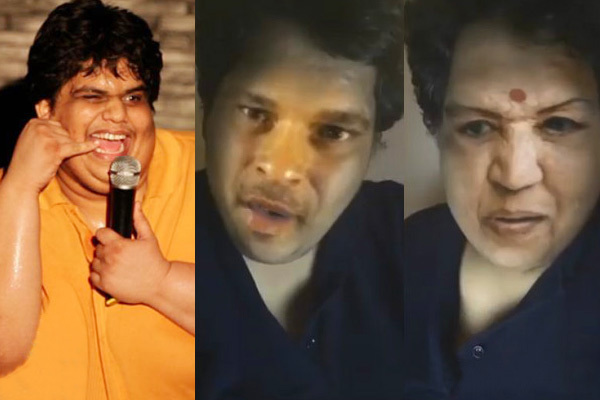 Renowned AIB comedian Tanmay Bhat is in trouble again! Yes and this time seem to be a serious one, his recent video on roasting singer Lata Mangeshkar and cricketer Sachin Tendulkar seems to have got him into trouble. In a new video posted on his official Facebook page, Tanmay is seen roasting the valued Bharat Ratna awardees all in the name of humour. The video is titled as Sachin v/s Lata Civil War, some of the punchlines used against Lata in the video include Jon Snow also died, so should you, Your face looks like someone has kept you in water for eight days. This video was not much appreciated with few Bollywood celebs, actors Riteish Deshmukh, Celina Jaitly and others slammed the comedian for crossing the line. Riteish took to Twitter and wrote, "Am absolutely shocked. Disrespect is not cool and neither is it funny". Celina tweeted saying, "Absolutely..shocked and appalled. Not amused. Lata Mangeshkarji needs to be apologised to NOW! !," Even Anupam Kher took to twitter and wrote, "I am 9 times winner of #BestComicActor. Have a great sense of humor. But This’s NOT humor. #Disgusting&Disrespectful".